Lineage Training at Dharma Refuge has been designed in response to the sincere interest of so many in our sangha who have expressed their wish to gradually explore the Buddhist path as a way to live in alignment with their deepest values and potential. In Tibetan Buddhism practitioners utilize an intelligent and skillful system to awaken. This system is organized into Three Yanas (Vehicles) — the Hinayana, Mahayana and Vajrayana. All three work gracefully together to carry us from confusion to enlightenment. Our first cycle of lineage training began in 2017 (and continues) with teachings from Sue Kochan and Elizabeth Mattis Namgyel, Buddhist teacher, author, and scholar. Select readings and teachings from other respected Dharma teachers, such as Pema Chodron, have been and continue to be integrated into the training. This first cycle of teachings will continue through 2019 for those currently enrolled; however, the full program is now closed to new participants (but see** below for the parts of it that are still open). Because of the popularity and demand for this program, it may be repeated in the future. If you're interested in being notified about future opportunities, please sign up for our newsletters at the bottom of this page. While many wish to move through these training sessions sequentially, they also offer great benefit as stand-alone programs. Most of us walk into Dharma training somewhere in the middle, so please consider joining us for any of our upcoming Three Wisdoms Retreats! You are welcome to attend any of our 2019 Lineage Training retreats which are open to the public and are focused on the Mahayana teachings, also called the Path of the Bodhisattva, like our Three Wisdoms Retreats. If you're interested in accessing the 2017 and 2018 teachings, please contact our lineage team. 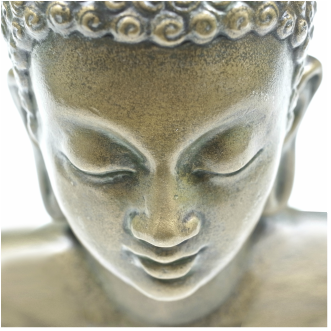 Our full library of teachings on the Four Foundations of Mindfulness are available as a benefit to Sustaining Members of Dharma Refuge. Lineage Training offers new and experienced participants the foundation necessary to enrich their spiritual development through a deeper exploration of the wisdom and practices associated with the progressive stages of the Buddhist path. During 2017 we explored the Hinayana as preparation for a lifelong study of the bodhisattva path (the Mahayana). This program uses The Three Wisdoms model of study, practice and inquiry. Participants who complete the Hinayana and Mahayana training may wish to consider exploring the Vajrayana path with a qualified Vajrayana teacher. If you're an active lineage participant and are interested in exploring the Vajrayana, Sue is available to offer guidance and in some cases to help connect you with a qualified vajra master. The transmission of wisdom that has been directly and authentically transmitted from teacher to student since the time of the Buddha is often called lineage. Our sangha's root teacher, Anam Thubten Rinpoche, and visiting teacher Elizabeth Mattis Namgyel share the same lineage within Tibetan Buddhism's Nyingma School, the first to be established in Tibet. Sue Kochan has studied within this lineage with Anam Thubten Rinpoche, Elizabeth Mattis Namgyel, and her first teacher H. E. Garchen Rinpoche. The teachings offered in this program will flow from the blessings of this lineage. See our full schedule for 2019. **These retreats are open to the public. Scholarship assistance is available. Please email our lineage team to arrange a time to discuss options and what would be most helpful to you.